As you’ll have seen from our regular coverage of the best walking shoes, this type of footwear has seen an explosion in popularity over the last few years. Why? Because dedicated walking shoes act as an ideal midpoint between a serious hiking boot and a running trainer, keeping the price down whilst ensuring your feet are comfy and you are supported on multiple types of terrain. During our travels this month at ISPO 2019 (one of the world’s largest exhibitions of fitness and outdoors gadgets, clothing and accessories), we noticed how the new breed of walking shoes are ever-more focussed on lighter weight and enhanced comfort. This adds up to longer periods of wear for you without running the risk of blisters and foot fatigue. These new walking shoes also utilise a raft of innovative construction techniques to help them a) feel better on, and b) last longer, so you won’t automatically be shelling out for another new pair next year. The Konseal AR is the newcomer from Arc’teryx, a tried and trusted technical performance clothing and footwear brand that already features in our best walking shoes buyer’s guides, so we’re expecting great things from the Konseal AR. Arc’teryx has designed this robust approach shoe to deliver even in the toughest conditions, with a TPU injected chassis adding beefiness and a midfoot shank providing stiffness to the base. All of this should help you stay sure-footed and in complete control on the trail. The signature clean lines of the upper are shaped from nubuck suede leather, which is fairly abrasion-resistant. An OrthoLite 3D molded insert midsole boosts the overall level of comfort you'll experience when wearing them. The toe area of these walking shoes features a hand-buffed 3D moulded cap and forefoot outsole, there to create a sharp edge for improved performance. The Arc’teryx Konseal AR will be arriving this July. AKU’s latest offering is the Selvatica GTX multi-terrain shoe, designed for trekking in warm climates. The robust walking shoe sports a new welding process that removes stitching from key areas, improving breathability and preventing chafing on longer days on the trail. Welded Pu Film on the uppers stiffens the breathable mesh construction, whilst keeping the overall weight down. A GORE-TEX Extended Comfort lining ensures this new walking shoe is water-resistant and breathable. On the outsole, the Vibram Selvatica Megagrip should keep you steady on your feet, regardless of the terrain you’re encountering. We also love how the the overall outsole shape has been formed using AKU’s Elica Natural Stride System technology, which follows the anatomical shape of the sole of your foot to reduce strain and impact when walking. The AKU Selvatica GTX will go on sale this month, priced £149.95. New for 2019, the Columbia Peakfreak X2 Outdry stands out amongst the new breed of best walking shoes contenders thanks to cutting-edge construction methods that aim to reduce weight, improve breathability and enhance your comfort outdoors. The welded overlays on the uppers provide strength, as well as wrap-around support, but with the benefit of a seamless, stitchless interface that minimises edges to abrate the foot. A techlite midsole is lightweight, so your feet won’t feel weighed down by the shoes, yet provides strong energy return, so you won’t suffer from fatigue. That glorious Omni-GRIP outsole should provide impressive traction when it’s needed. 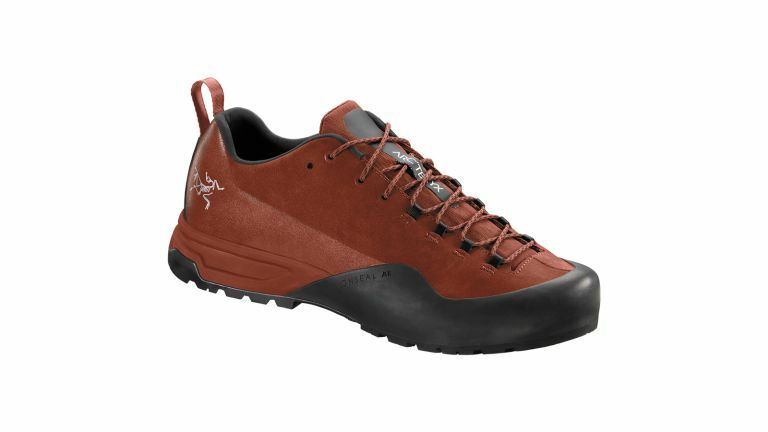 The Columbia Peakfreak X2 Outdry trail walking shoes will cost €119.99 when they land later this year.